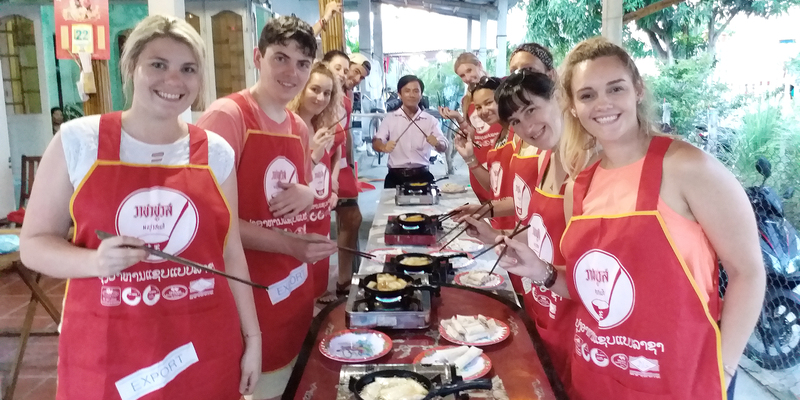 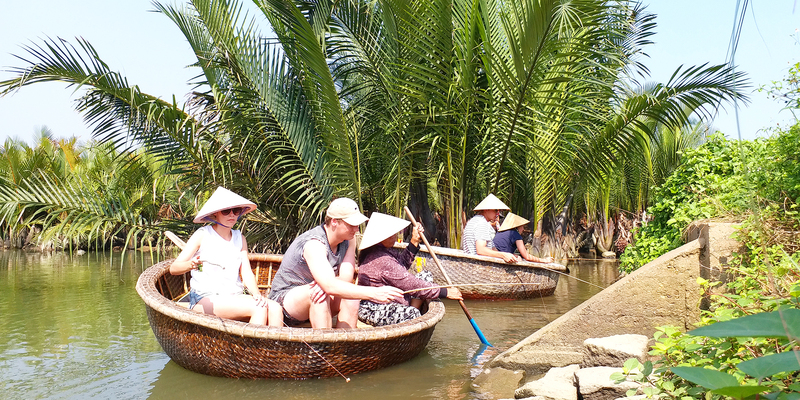 Price: 650,000 vnd / person (Group tour). 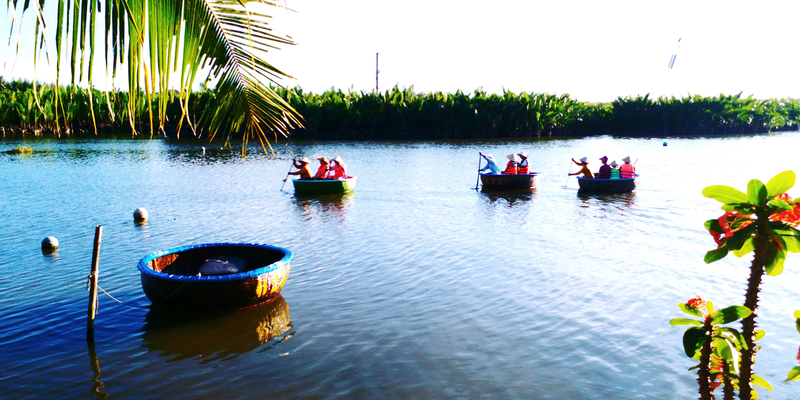 Time / Departure from: From 8:30 am to 13.00 pm And From: 2:00 pm to 6:30 pm. 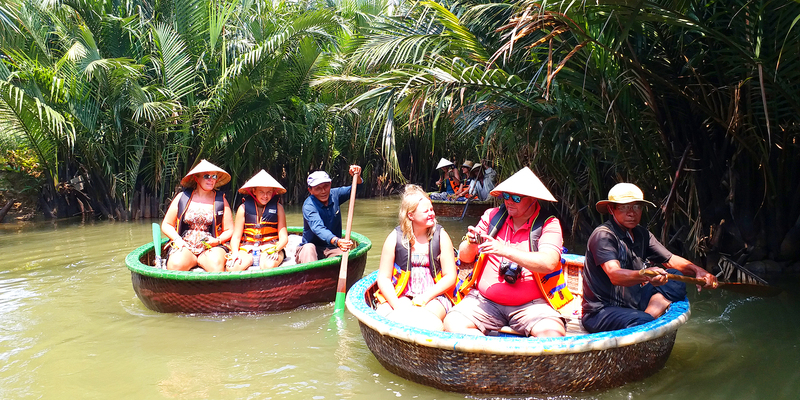 Summary: The Basket Boat is locally named the “Thung Chai” originate from Vietnam and are considered very valuable for the owners which is made of bamboo and are mainly used by fisherman in Central Vietnam. 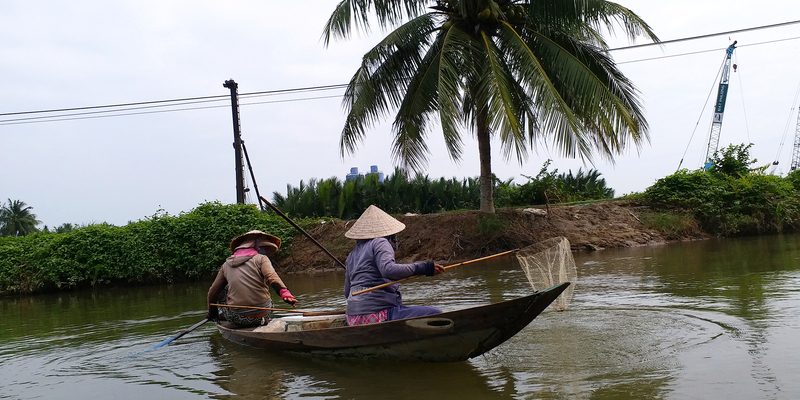 Most of fishermen who are working in the ocean or river really need to use it for their livelihood because of its convenience . 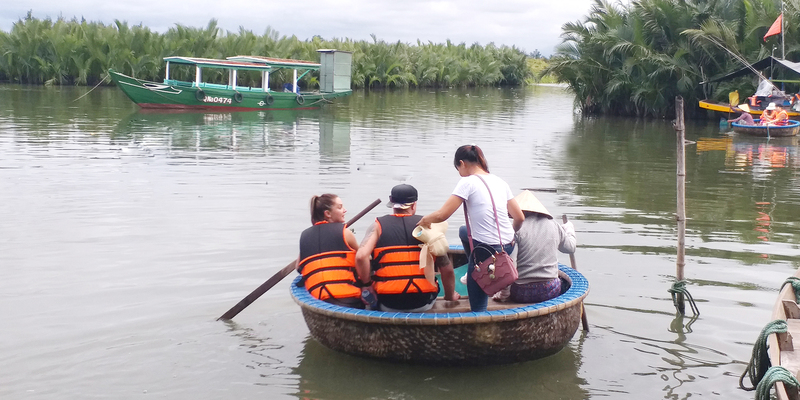 Because of its unique and little know to many tourists . 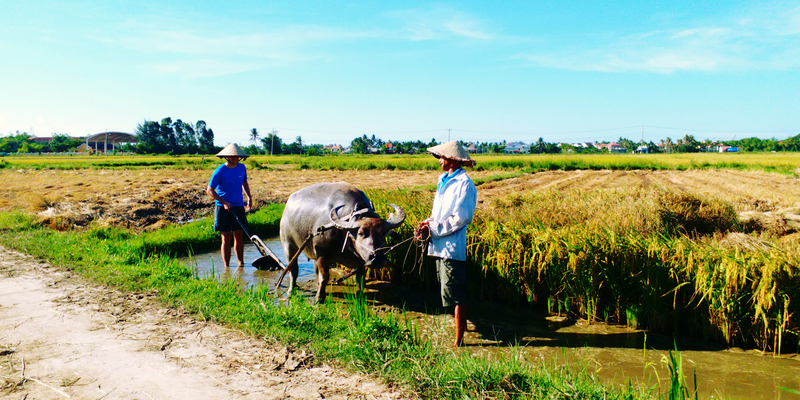 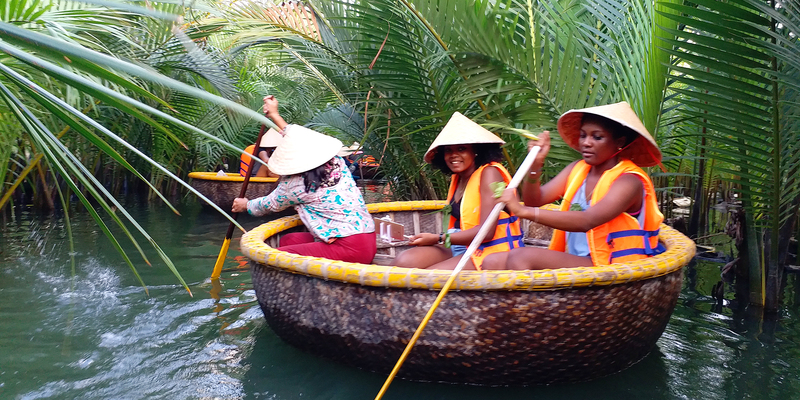 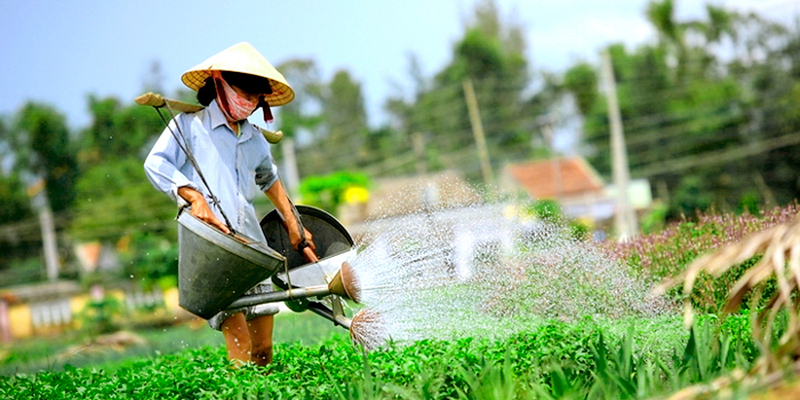 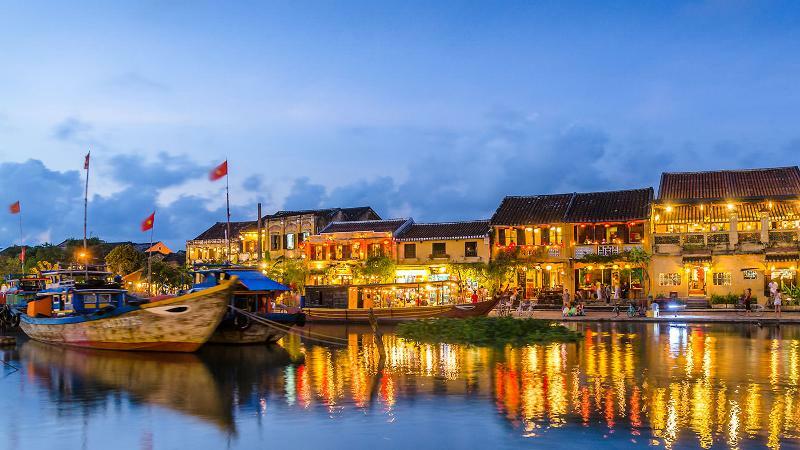 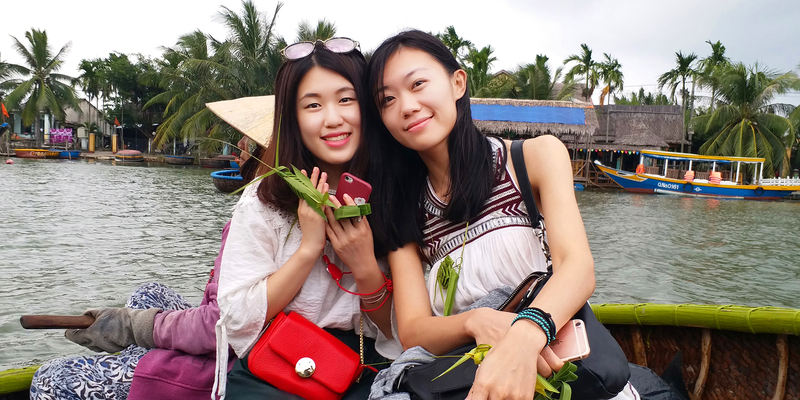 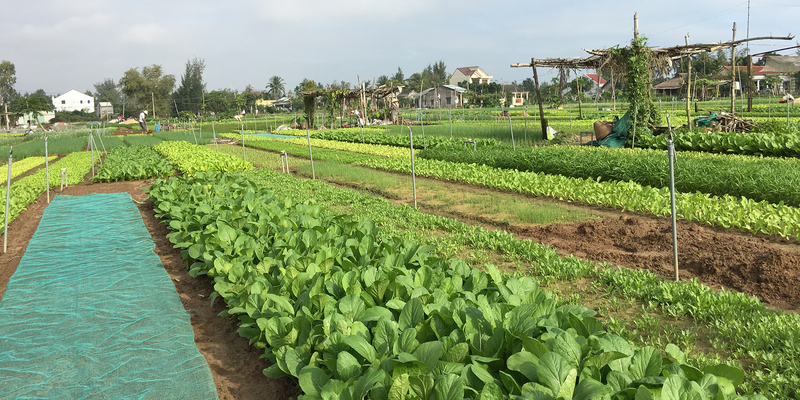 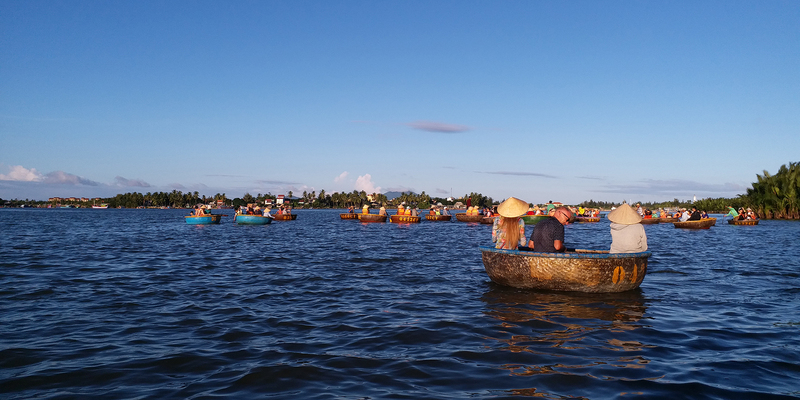 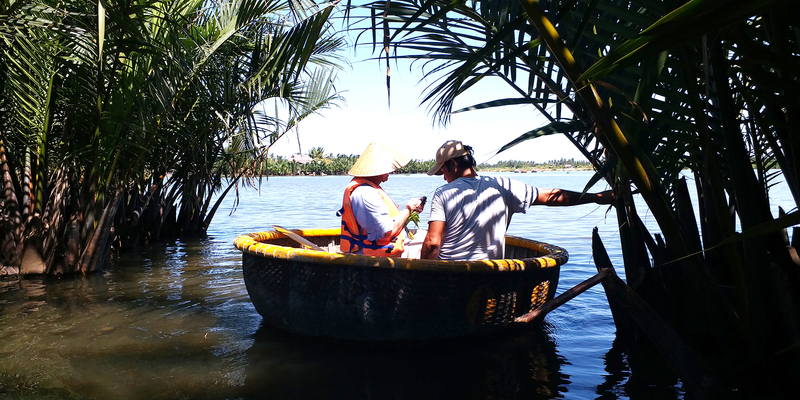 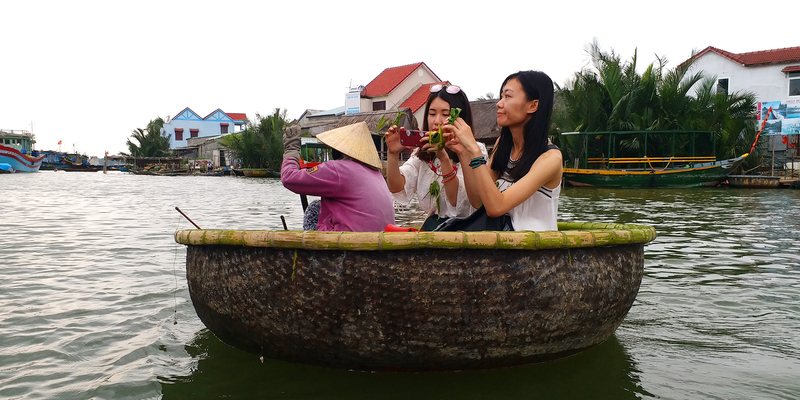 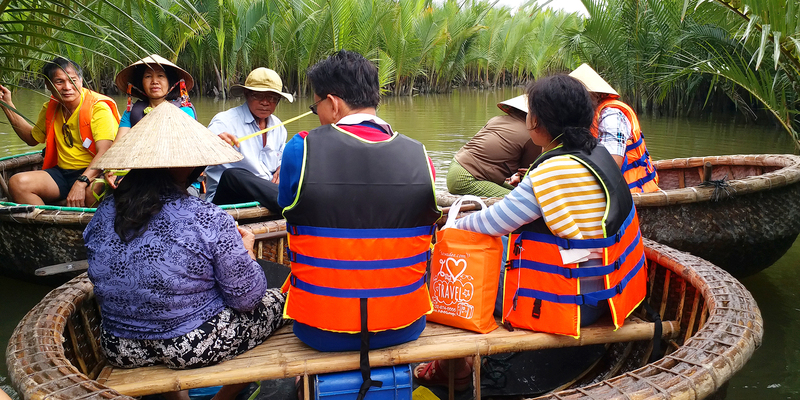 In this special tour The Hoi An Village Experience would like to bring the value guests to a peaceful, quiet and picturesque fishing village named Cam Thanh where is about 5 kms from Hoi An ancient town. 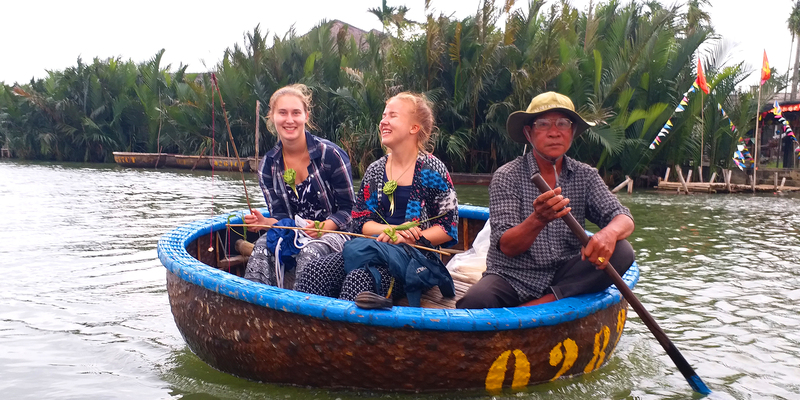 Come to us you will meet lots of local warm-hearted people who will show you and teach you how to use the unuique Basket boat with their whole heart and enjoy an unforgetable meal of your lifetime. 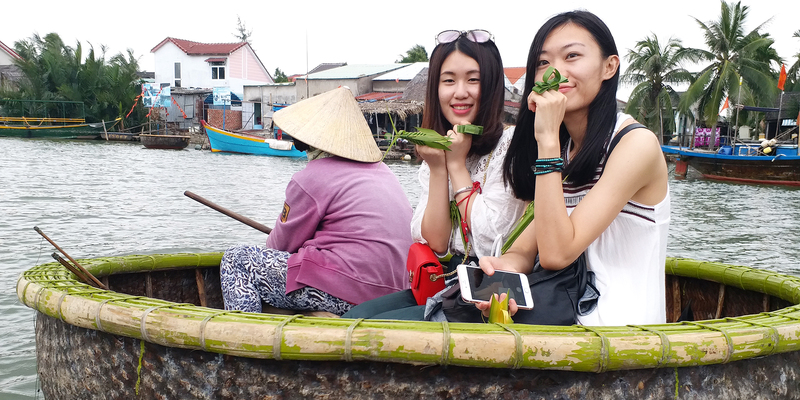 Tour guide pick up you at the hotel lobby in Hoi An ancient town then visit a local market hear you learn how loca peope purchase their products and buy some ingredients will be used for cooking lesssin later. 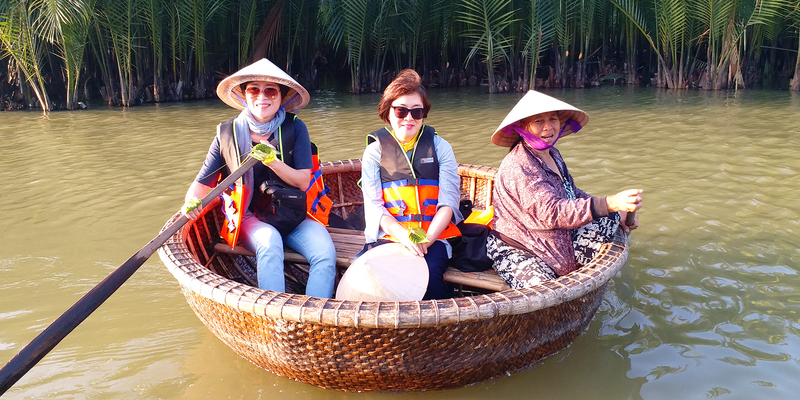 Joining a boat cruise along the major branch of the lower section of Thu Bon river, enjoy the beautiful scenery along both banks of this river where you watch many boats bobbing on the waters, local fishermen are on their daily work of catching fishes, mussel,. 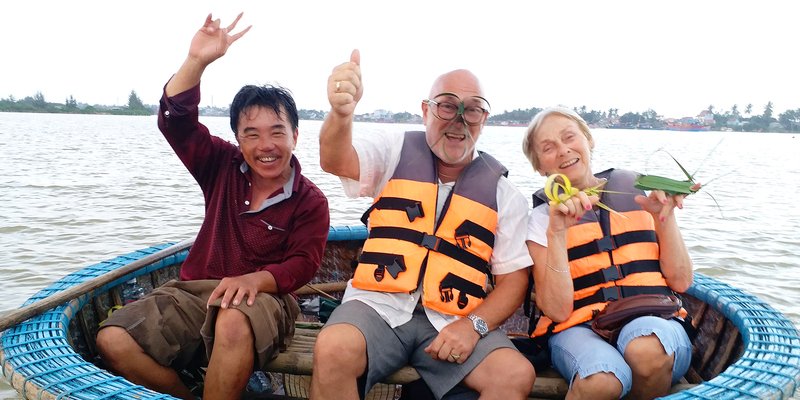 After that, we will cross Cua Dai estuary where the river meet the sea, going up to the Cua Dai river and heading for Bay Mau nipa (water coconut palm forest) grove where you can discover the daily life of the local fisherman there. 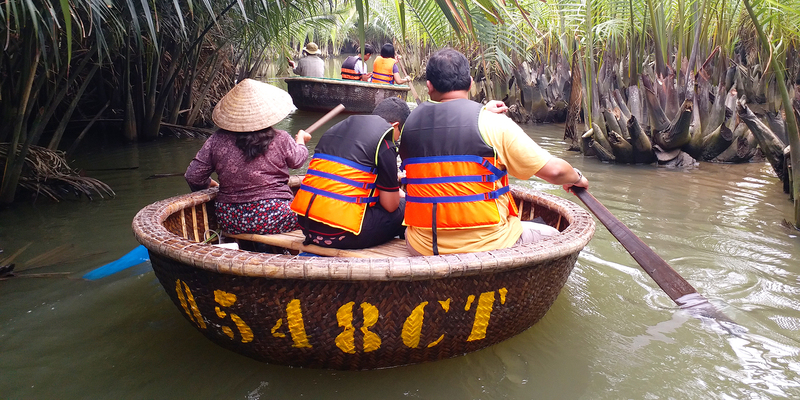 Explore the water palm coconut paradise. 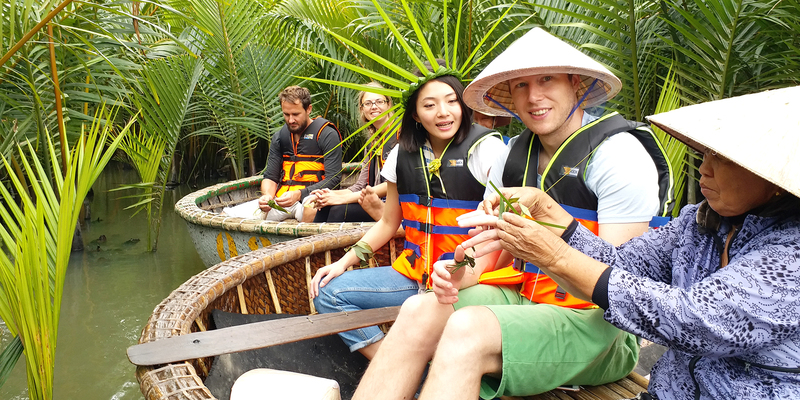 Learning and sharing fishing experience with local fishermen by catching fish and purple crabs with unique fishing nets, make souuvenirs with palm leaves. 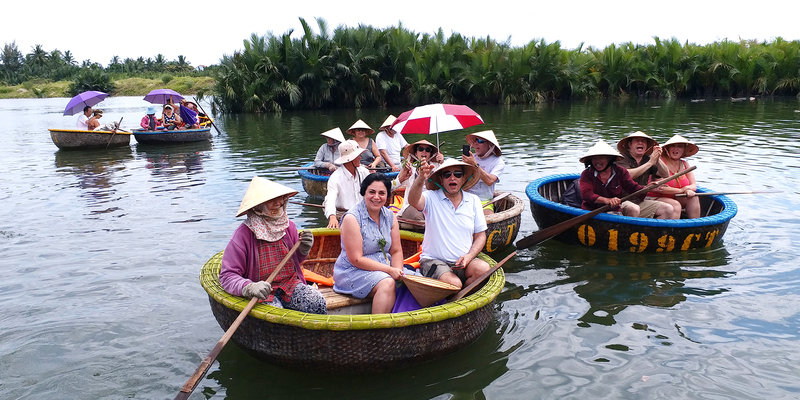 Get to know more about Vietnamese–American war, interesting & true stories happened during the war time. 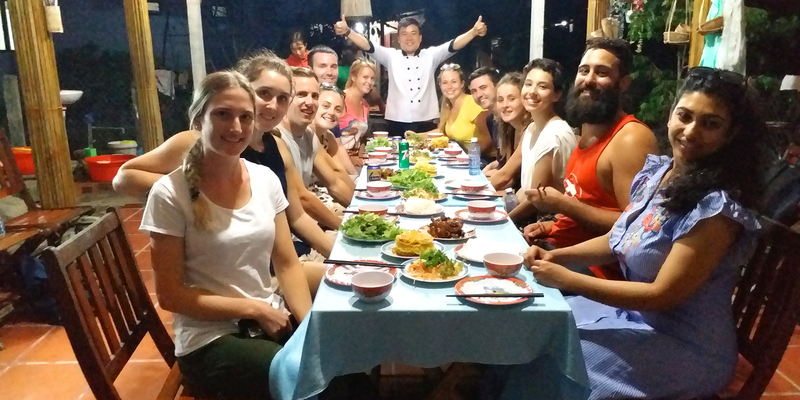 Having a very interesting Cooking lession at the local home ( Mr Cu’s home), then enjoy a very delicious lunch or dinner with his family.